Finance Minister Arun Jaitley with HRD Minister Smriti Irani arrives at Patiala House Courts to file a defamation case against Delhi CM Arvind Kejriwal and other Aam Aadmi Party leaders for their DDCA corruption allegations against him, in New Delhi. 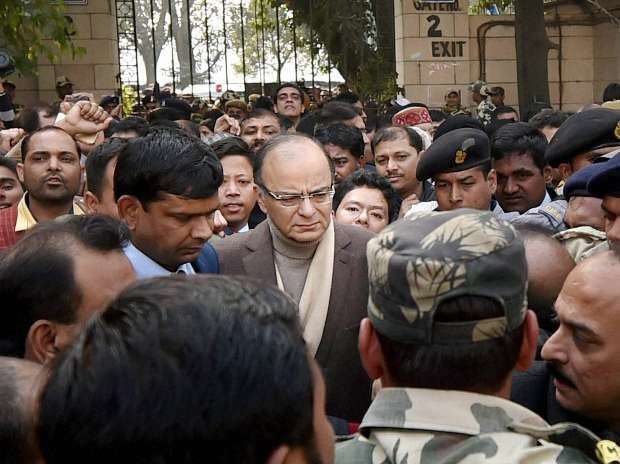 Finance Minister Arun Jaitley surrounded by security and party workers as he arrives at Patiala House Courts to file a defamation case against Delhi CM Arvind Kejriwal and other Aam Aadmi Party leaders for their DDCA corruption allegations against him, in New Delhi. 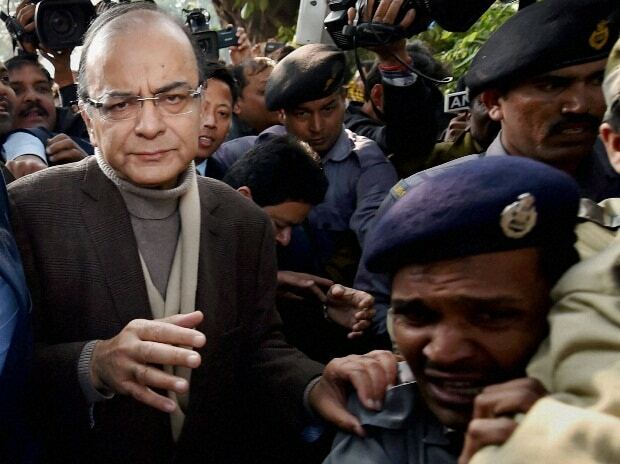 Finance Minister Arun Jaitley arrives to file a defamation case against Delhi CM Arvind Kejriwal and other Aam Aadmi Party leaders for their DDCA corruption allegations against him, in New Delhi. 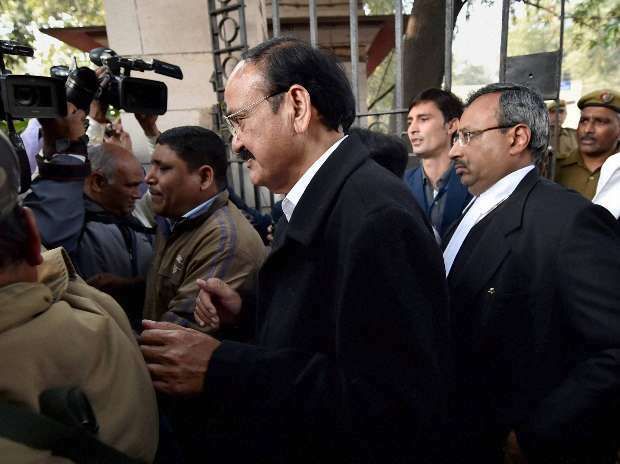 Urban Development Minister M Venkaiah Naidu leaves after Finance Minister Arun Jaitley filed a defamation case against Delhi CM Arvind Kejriwal and other Aam Aadmi Party leaders for their DDCA corruption allegations against him, in New Delhi. 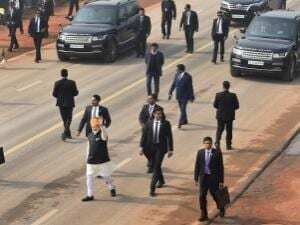 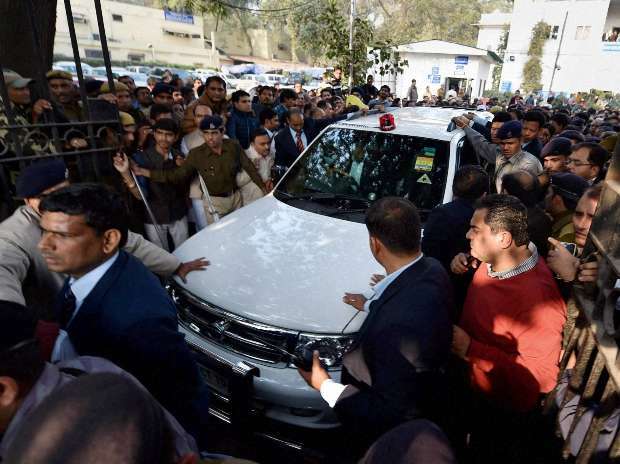 Finance Minister Arun Jaitley's car surrounded by security and party workers as he leaves from Patiala House Courts after filed a defamation case against Delhi CM Arvind Kejriwal and other Aam Aadmi Party leaders for their DDCA corruption allegations against him, in New Delhi.